With only 2 more days until the release of Jessica Khoury's new novel, Vitro, I can't even begin to tell you how excited I am to get my hands on a copy. To tide me over until Tuesday, Jessica has graciously agreed to answer some questions to curb our appetites. We also have the unique opportunity to play along in a spectacular contest called #operationvitro over at www.corpusnetwork.com. Jessica is giving away prizes to EVERYONE that participates and you have the opportunity to win some really swank grand prizes. Jessica Khoury is the author of one of the most original stories I have ever read. Origin, which was released in September of 2012, is the story of a genetically engineered girl who discovers that she's not as perfect as everyone has been telling her her whole life. 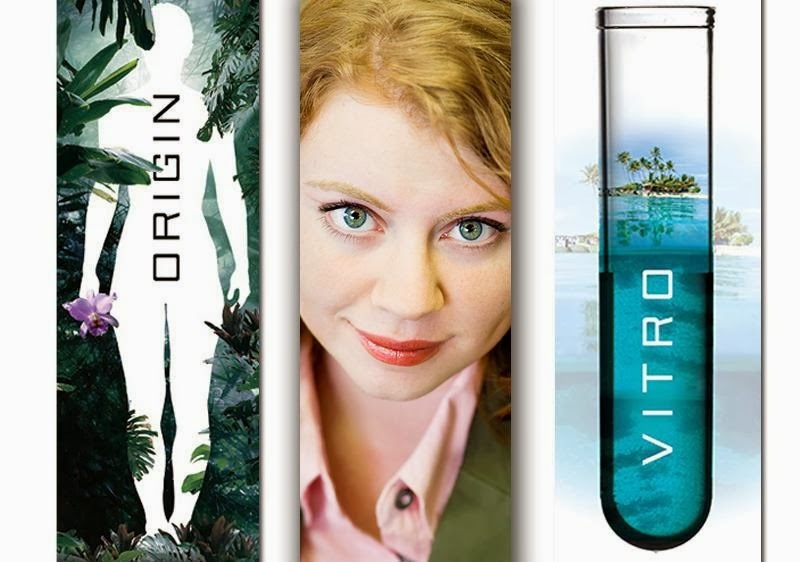 Her new novel, Vitro, is the story of Sophie and Jim. Sophie's mother works on an island, called Skin Island, that nobody knows anything about. All people know is that it is a scientific research facility and it is off limits to outsiders. Sophie's mother sends her an emergency email asking Sophie to come to Skin Island. Sophie travels to Guam and searches in vain for a pilot to fly her out there. Then, she finds Jim. Jim and Sophie were childhood playmates who haven't seen each other in years. Jim is the only one who will agree to fly Sophie out to Skin Island. What they'll find there is anybody's guess. Welcome Jessica! I am so excited to chat with you about your new novel, Vitro, which is coming out in just 2 short days! First off, tells us a little about Vitro and what we can expect to find in your newest novel. Vitro tells the story of Sophie, a girl whose mother left her behind ten years ago in order to pursue her research for Corpus on a remote Pacific island. Now Sophie is on her way to find her mother, and the only person willing to fly her to the island is her old childhood playmate, Jim. Together, they begin discovering what Sophie's mother has been doing--raising test-tube embryos with computer chips integrated into their brains. These Vitros, as they're called, have abilities beyond those of normal humans--but at a terrible cost. Ooooo. A terrible cost. How intriguing. What draws you to writing medical and scientific stories? I've always loved reading these kind of stories, and I think there are some fascinating ethical dilemmas intrinsic to developing technologies that make for great drama. Plus, these questions are very relevant to our current reality, which adds to the stakes. So, Vitro isn't really a sequel to Origin, but will we see any of the same characters? You will meet one familiar face in Vitro, but I won't give away who it is! Any chance we'll see Pia and Eio in any future novels? At this point, I don't have any plans to continue Pia and Eio's story--but you never know what the future will hold. Right now, both of your novels are stand-alones. Do you have any desire to write a continuous series, or do you enjoy writing single novels? I think I'd enjoy working on a series at some point; stand-alones have many advantages, but a series allows you to really dig deep into the characters and worldbuilding. Most YA stories these days, including Origin and Vitro have a female heroine who is paired with a male counterpart, but rarely, if ever, is the main hero a male. Why do you think that is? I think this reflects today's teen readership, which is largely female. However, in Vitro, Jim is as much the protagonist as Sophie, and I really enjoyed getting to bring his male perspective into play. I think that most readers enjoy stories told from either gender's viewpoint, so I'd love to see more male protagonists. When you wrote Origin, you mentioned on your blog that it was originally titled Perfectly Pia. I personally think that Origin was a much more compelling title and really reflected the depth of the story. Were you disappointed to have the title changed, or did you feel a connection between the new title and the story? And did you have a similar experience with Vitro? If you did, what was Vitro's original title? With Origin, I knew from the beginning that a title change would likely happen, so I wasn't upset when it did. I loved "Origin" from the moment we chose it, and knew it was a perfect title! Vitro was pretty much Vitro from the beginning; before it was final, I just called it "the island book." I have my desk, where I usually work, as well as a huge, comfy chair flanked by overflowing bookshelves. I like to have a lot of open windows too; natural light is relaxing and healthy! My favorite thing about my writing space is my TARDIS bookshelf, which my husband built for me as a Christmas present. It even lights up! Last question. The thing I enjoyed most about Origin was the way it left me thinking at the end. Will we get the same treat with Vitro? Are there deep underlying issues that will intrigue our minds? I think so, and I hope you will leave with questions hanging in your mind. In Vitro, the ethical dilemmas at the heart of the story (which I can't state here without giving away the twists!) are less black-and-white as they are in Origin. I didn't want the characters to have any easy answers, because that's often how these situations are in real life. If you're like me, these 2 days are going to take For-ev-er! Don't forget to pick up your copy of Vitro on Tuesday, January 14th! And in the mean time, continue to play #operationvitro for your chance to win some great prizes! Besides writing, Jess enjoys playing, coaching, and watching soccer and is an avid FC Barcelona fan. She also spends time directing theater for college and student groups and traveling the world in search of inspiration and stories. Jess currently lives in Columbia, South Carolina, with her husband, two terrible dogs, and an abundance of books, shoes, and sweet tea. 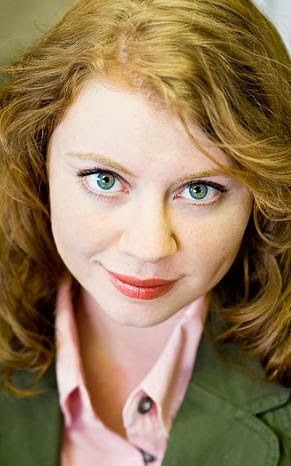 She is the author of Origin and Vitro.